Metcalf South was a regional shopping mall that opened in 1967 in Overland Park, Kansas. For years it was anchored by The Jones Store and Montgomery Wards. As time passed and stores changed, Sears, Roebuck and Company moved into anchor the south end that was once used by Montgomery Wards. Years later Macy’s purchased the Jones Store Brand and redeveloped the space as a Macy’s. The mall featured a unique interior with numerous fountains and lighting features. 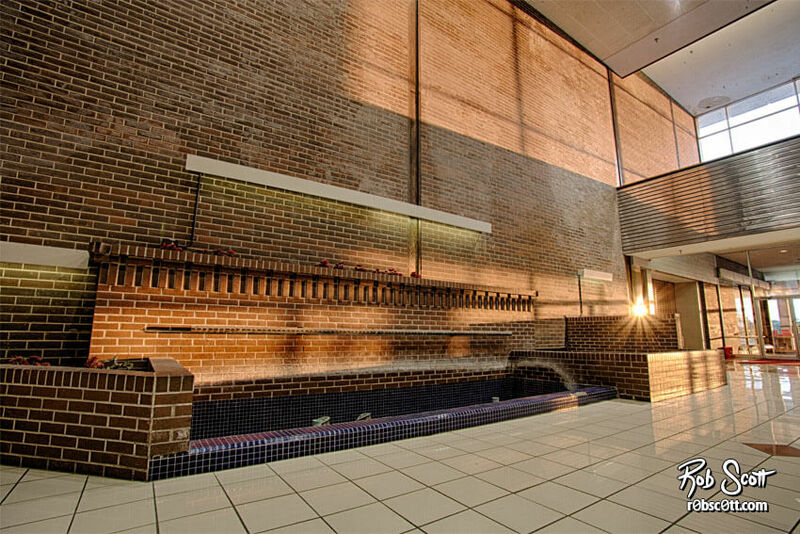 One of the most distinct features of Metcalf South was the three story fountain that made up the center of the mall. The fountain was the centerpiece with two escalators and a stage wrapped around it. In 2014, Macy’s closed their Metcalf South location leaving the mall mostly vacant. The mall was purchased by Lane 4 Property & the Kroenke Group for what is assumed to be a redevelopment of the mall and the property adjacent of 95th Street.